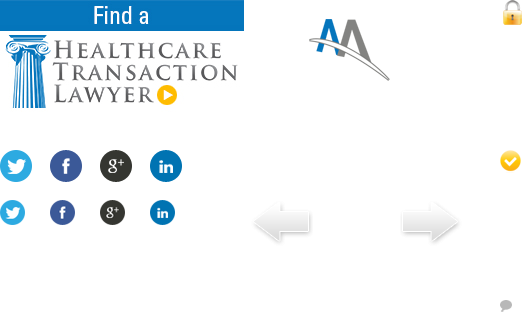 During a healthcare M&A transaction time is literally money. Wasting the time of either the buyer or the seller can be the straw that breaks the camel’s back if the deal takes too long to consummate due to poor preparation on behalf of either party or issues found in diligence or the market that could slow down the deal to an unwelcome stop. The Ambulatory M&A Advisors wants to help its readers looking to sell or buy and provides some of the main deal killers on the current market, best ways to prepare for a deal on either side, and how a seller can best prepare their business to be fine tuned once the diligence process of the deal occurs. Ken Davis, partner with Katten Muchin Rosenman LLP, says that in his experience, the top deal killers tend to be accounting issues, where when buyers start digging into their diligence they begin to see that there are problems from the accounting standpoint. Legal issues have the same issue where when the buyer starts their diligence they identify legal or regulatory issues. “I would also say, that unrealistic expectations or unrealistic sense of self-worth on the part of the seller can be a deal killer. They just feel that there may be a better deal or better opportunity than the buyer does and they are unrealistic about that. It is okay to feel strongly about your business, but it needs to be market based and realistic,” Davis says. The final thing that Davis would place under the deal killer category is lack of alignment of objectives between the seller and the buyer. This is particularly if the seller is going to be somehow involved. If it is just a financial deal, alignment of objectives doesn’t matter, but if it is a deal where the buyer wants major components of the seller to stay involved, sometimes a lack of alignment of the buyer with the seller can really kill the deal. Troy Barsky, partner at Crowell and Morring says that when discussing some of the top deal killers, the main ones that he sees are coming from a regulatory perspective where one of the parties have fraud and abuse problems. “They either have an outstanding false claims act issue going on, they may have an outstanding level of liability to the government that you don’t fully realize until you get involved in the diligence process. From my perspective, that is where I see a lot of deals killed,” Barsky says. Deeni Taylor, executive vice president at Duke Realty explains that there are deal killing risks in the area of real estate that most buyers and sellers may not consider. According to Taylor, if a physician is going into a retail setting, one of the best things that a physician could do is perform the proper research as to what they will need to properly understand the structure of a lease before jumping into it. “Sometimes physicians try to negotiate their own leases. They don’t have the market knowledge, they don’t have the awareness of what other retail settings are doing,” Taylor says. He adds that if seller decides to work with a broker they should look into working with someone who has specific expertise in the field. Taylor says that buyers have lost deals to other retailers because they weren’t able to get the deal done fast enough, so speed and the smoothness of the deal is not only in the seller’s court. These issues could have been through delays which may have been the tenants fault, and may not have. But, many deals have disappeared because somebody that is a little more desirable or credit worthy came in and took the space. “Some things are certainly out of your control. You can’t prevent other companies from booking the space, but obviously, the better prepared people, the more educated companies who understand the backbones of real estate cost and allowance, and market saturation have a leg up. A lot of deals don’t have to die, had people been a little more educated or had engaged with people who help provide that color and help people understand what is normal. A lot of these guys get into this with unrealistic expectations,” he says. Taylor says that understanding your goal with your clinic will also help prevent the killing of a deal that may have an unexpected price tag. “Their tenant improvement allowance may not be very much in a retail setting. That is typical. So, they have got to go out and finance or take their own capital and pay for the overage to build out the space. They may or may not know what that cost may be early on in the negotiation of their lease if the space isn’t built out yet. They can be surprised when it’s time to move in and they find out how costly it could be to build out that space and the check they are going to have to write,” he says. When discussing best practices for preparing for an acquisition, Barsky says from a compliance perspective, he would say that if the business does not already have a robust compliance program in place, they should have that shored up before entering into an acquisition situation. “That can come in many forms. In one issue that ASCs especially get in trouble with are state licensing boards or survey and certification boards where Medicare will say they are not complying with life and safety codes. While the standard of care might be high, the other elements like having safety equipment or proper revival drugs…they cost a lot and a lot of these emergency measures are not necessarily used. 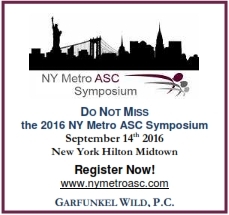 I think a lot of ASCs that are independently owned do not have these issues focused on as much as they should. When you have someone like a hospital making the acquisition, those are the things that they are going to look at and will need to be resolved before the deal goes through,” Barsky says. When discussing the best ways for a seller to prepare their business for an acquisition, Davis states that they need to have a well-run, clean operation with good compliant marketing. “Run a good business that makes sense financially, makes sense clinically, makes sense from a legal and compliant standpoint. Also, don’t be aggressive on the regulatory or accounting front. In my experience, most of my clients are not particularly aggressive, but when I am on the buy side, it causes problems if I see issues that are related to regulatory and compliance, maintenance of accounting, etc.” Davis says. Another thing that people need to consider as a seller is to position the business as best they can to operate in a value-based reimbursement environment. “The old fee-for-service environment is going away and we are now moving to new types of reimbursement methodologies that are focused on overall value. That takes a different mindset in terms of how you run your business. If you are operating your business on an old-fashioned mindset, in most markets you are not going to be attractive to a buyer,” Davis says, adding that keeping the debt load down is also important. According to Davis, a lot of debt may not necessarily scare off a buyer, but the more debt that a business carries, the more it interferes with how the parties approach the transaction. When looking at problems that could hamper a deal but are not necessarily deal killers, Davis says that areas where he sees aggressive marketing tactics with referral sources is an issue. “By aggressive, I mean aggressive from a compliance standpoint, or in terms of how they interact with the referral source. It can start to implicate Anti-kickback considerations, it can start to implicate Stark considerations. Frankly, if you are being overly aggressive, a buyer who likes to operate in a more mainline, less aggressive posture will look at you and see how you have driven the business. 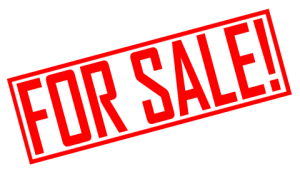 They may not drive the business the same way so therefore, the business may not be as valuable to the buyer as it is to the seller,” Davis says.